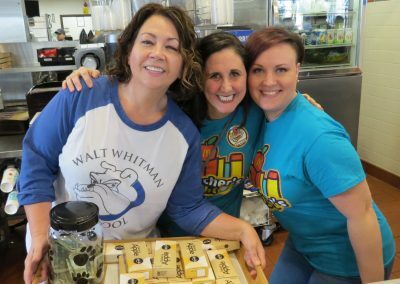 Wheeling | Whitman Elementary School students gave teachers and administrators an A-plus on their fundraising efforts to support the Whitman Elementary Parent Teacher Organization. 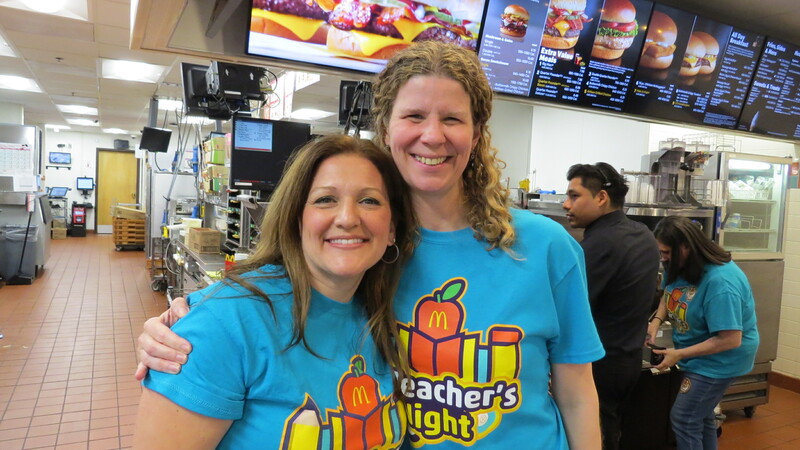 Teachers, support staff and Principal Jennifer Kiedaisch fromWhitman Elementary School volunteered behind the counter on Wednesday, April 3rd, at the Wheeling McDonald’s located on Dundee Road, where they served students and their families in their annual fundraiser. 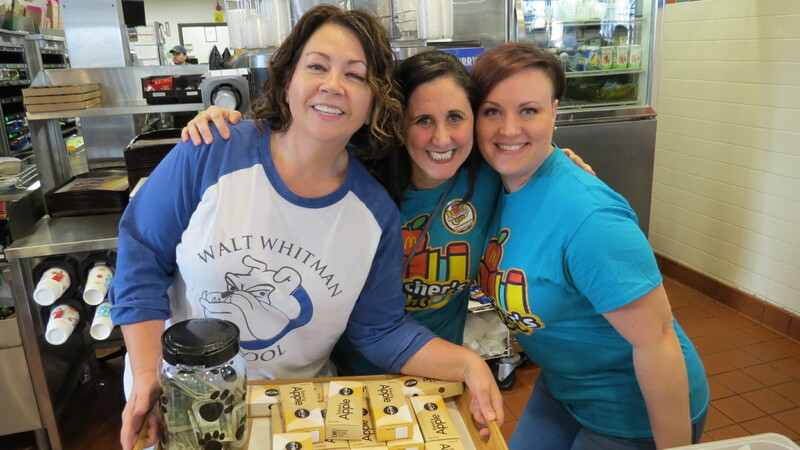 Teacher Cristy Martinez sang and danced around the restaurant encouraging students to purchase a delicious apple pie while teachers tended the front counter, served ice cream and presented delicious food at the drive-thru. The proceeds from the 240 apple pies sold will be used to help support Family Engagement Programs, purchase Physical Education Equipment and playground improvements. 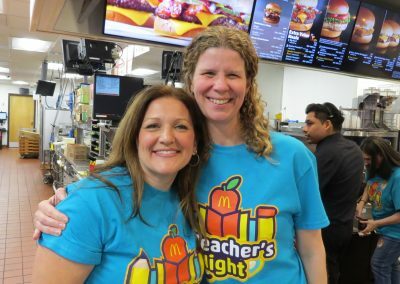 Twenty percent of the proceeds from the McTeacher’s Night sales were donated directly to the Whitman PTO. “Whitman School thanks Mr. David Bear and his staff for opening his doors and welcoming us in. Our staff had so much fun spending the evening with our students, families and the community! Thank you so much! We can’t wait to do it again!” said Teacher Cristy Martinez. David Bear, Owner – Operator of the Wheeling McDonald’s and the Bear Family Restaurants were delighted to participate in the worthy cause for education and the community. 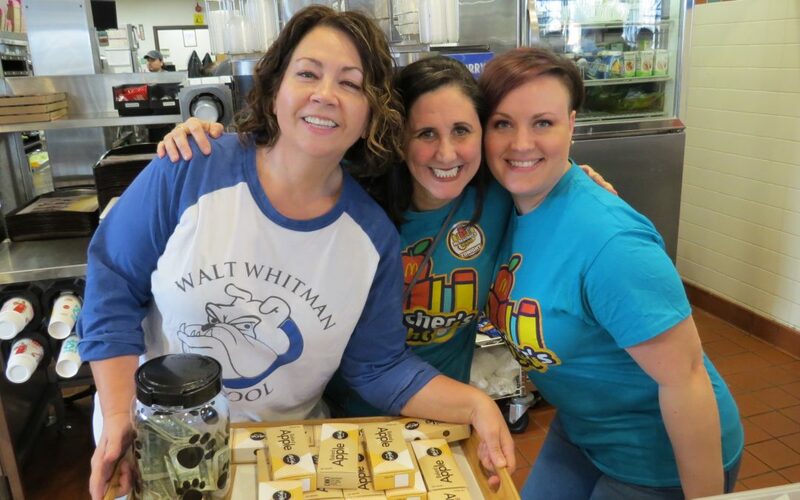 Whitman Elementary School McTeacher’s Night was courtesy of the Bear Family Restaurants and McDonald’s Owner – Operator, David Bear. Like us on Facebook and visit our Website.